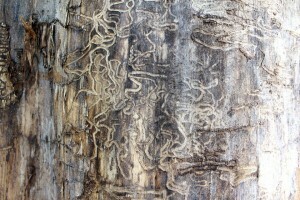 Termites are annoying, troubling, nasty, and very difficult to get rid of. That's why it's important that you learn to identify them early on, so they don't become an even bigger problem in your property. For tips on the matter, continue reading. First things first, you need to look for the most obvious indication that termites have infested your property. As you may be aware, termites eat wood. This means that if the wooden items in your home start to show signs of damage, then you can start suspecting that there can be termites around. Next up, you need to pay attention to the formation of mud tubes. Mud tubes are the means through which termites move around and they are where they live. Commonly, mud tubes are made from soil, wood, and feces. So, if you happen to spot one, beware! After you noticed the damaged wood and the mud tubes, you can be pretty sure that there's a termite infestation in your home. Still, another sign that termites are around, is if there's a swarm of insects. They look like flying ants, so take note if you find any. Last but not least, you should definitely have a certified professional come to your home. They will be able to give you a definite answer if you have a termite problem. Moreover, they can help you exterminate them, so they continue posing a problem in your property. Call Zott Construction DKI at (845) 227-4141 if you require property restoration in Stormville.